J & H Boatworks, Inc. 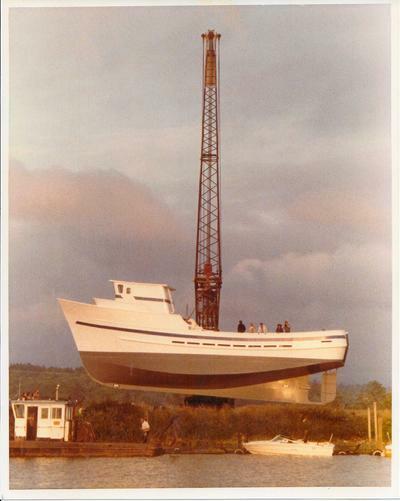 In 1976, J&H Boatworks, Inc. was formed and began construction of the 72 ft. F/V MILKY WAY. She was the famous steel hull, aluminum house, combination fishing vessel designed by the noted Seattle naval architect, Ben F. Jensen. Sadly, the Milky Way was lost in a freak accident in the summer of 2006. There is good news however, all hands were safe!! (An article about the sinking can be accessed below) But what a foundation to continue our boatbuilding, remodel, repair, & design of boats. Also, what a foundation for all of our work which has diversified to so many areas of metal fabrication. J&H Boatworks has earned a reputation for workmanship and reliability. As you enjoy the pages of this site, you will note that we specialize in fabrication using aluminum. While this metal may present challenges to many fabricators, it is the metal of favor for J&H Boatworks. In addition to the many successful vessels that have been born from our shop, J&H has designed and constructed countless custom metal projects in steel, stainless, and aluminum.